Do you have pairs of shoes you no longer wear? It’s sad to see them accumulating dust, so I strongly recommend a good clear out. It’s cathartic, and also means you’ll find the styles you do wear more easily. If you’re planning to sell your footwear on Ebay or another website, this guide is for you. I let you in on the secrets of how to photograph shoes properly. I like to think of selling footwear as turning your unwanted shoes into something else. For me, that’s normally more shoes! I’ve been selling my own shoes online since 2004. I’ve also assisted on various photo shoots for shoe brands’ ecommerce sites. 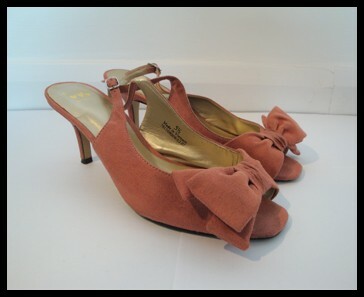 With the time I spend looking at shoes online, I know how to photograph shoes in the most flattering and lifelike ways. If you follow these simple steps, you’re more likely to attract buyers and bids to your listing. 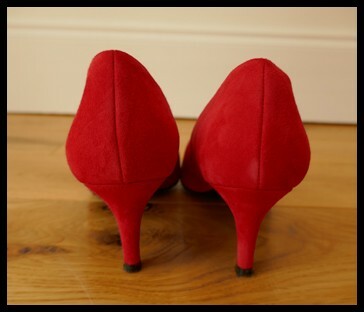 Photograph your shoes indoors on a wooden floor or plain carpet (no patterns). Use a white or pale coloured wall as the background. You need as much light as possible to capture a strong image of your shoes. Use natural light from windows and add more light! 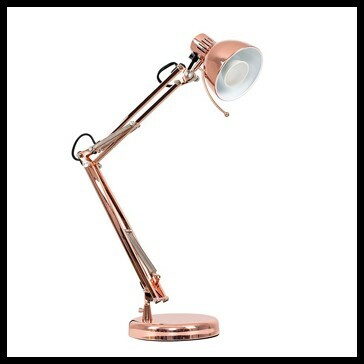 If you have a standard lamp or desk lamp, use it. No shadows: position your shoes and lamp so there aren’t any shadows of the lamp, you or the camera visible in the shot. Experiment with and without your flash. If there’s enough ambient light, the colour of your shoes might be more accurately represented without flash. Photograph your shoes with a proper camera if you have one, rather than your phone. 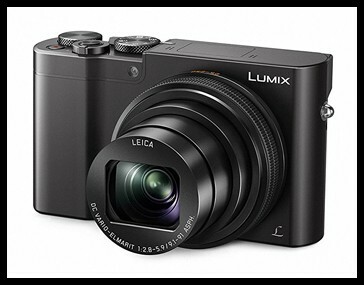 Cameras usually take better quality images than even the best phone camera. They also have additional settings, so you’ll have more control over the images you create. The best way to focus your potential buyers’ attention on the shoes you’re selling, is by honing in on them and removing excess borders. Do leave a small gap around the shoes though. It’s more pleasing to the eye than the shoes running off the edge of the page. It also shows you’re not hiding anything. 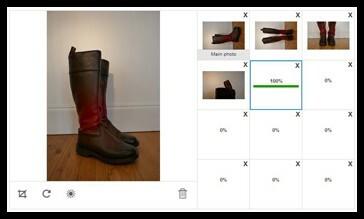 Ebay’s photo upload tool is user-friendly, and lets you rotate and crop your photos then and there. 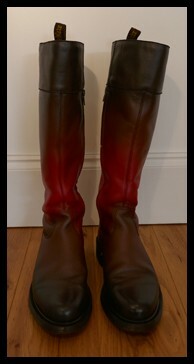 To make your shoes and boots stand up well and look their best, you should stuff them. The tissue paper which comes in shoes when you buy them works well. You can borrow from other pairs, or keep a stash for Ebaying. 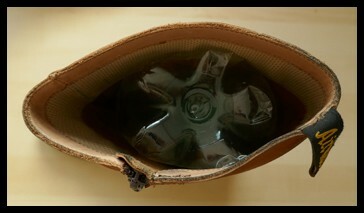 The knee-high boot in the photo above is stuffed with an empty 1.5l drinks bottle. When photographed from the side it looks plump and lovely like the images below. Ebay lets you include 12 photos for shoe listings. Try to use them all as buyers love photos. Below are the angles you should include. This angle is more flattering than a straight 90 degree side view. 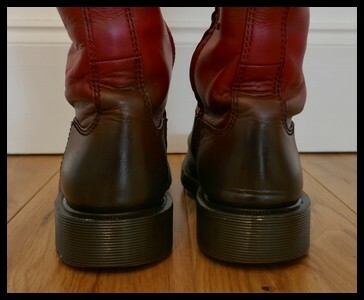 When the toes are angled a little towards the camera, the shoes or boots look shorter. You can also see more of the toe shape than you would side on. It’s a good idea to shoot the front view slightly from above. 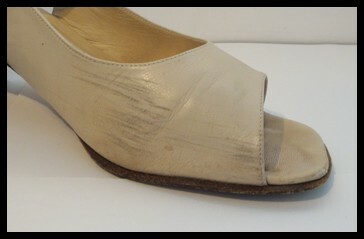 This shows the toe shape better, and is more flattering than the squashed look you get straight on. This is one of the most important angles. 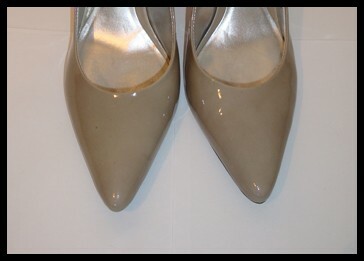 Potential buyers want to know if the toes of their new shoes are pointed, almond or round. 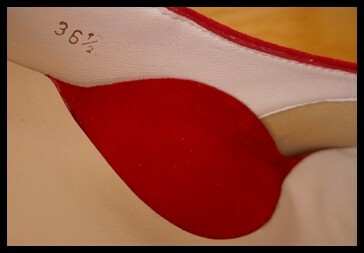 For high heeled shoes, this angle will show the back view of the heel. This is a lovely view. With boots it’s important to get the full length in this shot. Not the most flattering angle, but useful to the buyer, particularly if there are nice details on the back (you’ll also photograph these in close-up later). This is only necessary for boots. With shoes, just use the back view from Shot 4. 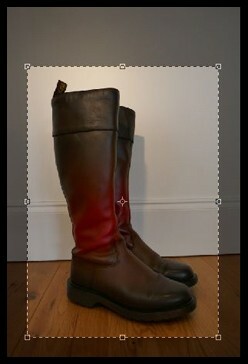 If you’re photographing shoes, perhaps add in another detail photo. Close-ups of nice details and branding are useful to the buyer. They will use these images to judge the quality of the product, and whether it’s genuine. Any attractive detail is worth photographing in close-up, whether it’s brogue punching, a closer view of a print, or the leather finish. Buyers will use these detailed shots to see whether your description and categorisation matches the actual product. Photograph labels like the one above depicting size, brand and country of origin. 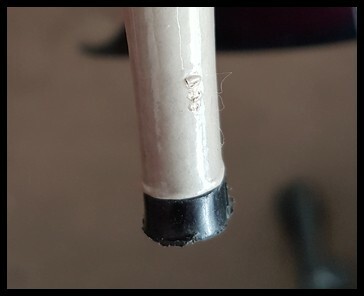 If you haven’t removed it, shoot the composition label which says whether the product is leather or not. Zips, Velcro, and other functional details are also useful for buyers to see. This could be anything from nicks in the leather, to scuffing or creasing. You’ll describe the defects in words, but nothing beats a picture. Some sellers shy away from negative images like these, but in my experience, honesty is always the best policy. Don’t set your buyers up for disappointment. The best way to get shoes or boots in position for this shot is to rest them on their backs/heels, and lean them towards each other. 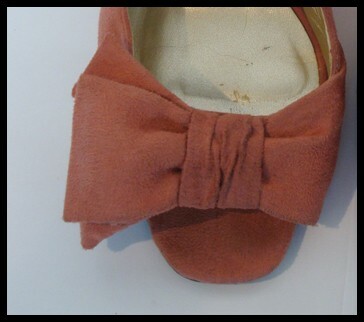 The sides of the soles will touch and (with a little patience) you can get them to balance long enough to take the photo. The potential buyer will see how much grip is on the soles, and if there is any dirt. 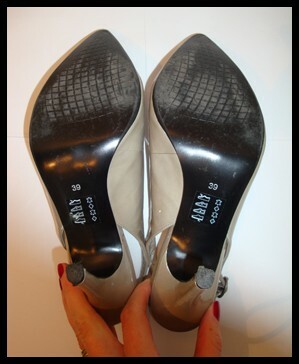 Your buyer will want to know when the heels or soles might need to be replaced, so shoot worn areas as well as you can. 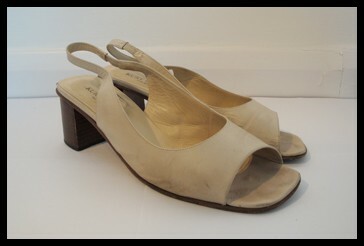 If you have any tips on how to photograph shoes to sell, please write your comment in the box below. I want to sell women’s shoes. Women love shoes. I know how important pics are to selling and I’m a pretty good photographer but I found your pages to be invaluable. Pls put me on ur list if u like. Thx for sharing ur tips! Thank you for your comment John. I’m glad you found this post useful.